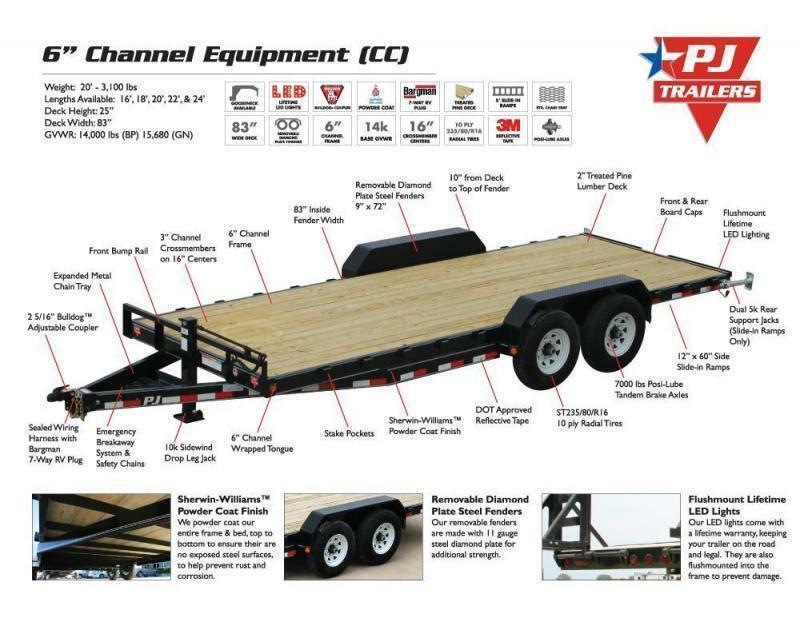 Big Tex's 14ET Equipment Trailers are a work horse HD trailer ready to provide a sturdy frame and a safe haul for your equipment. 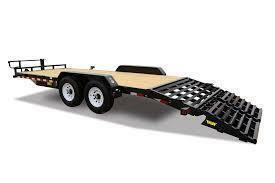 These trailers come standard with Dexter EZ Lube axles and Dexter's NEV-R-Adjust brakes (rated the best brake in the trailer industry!). 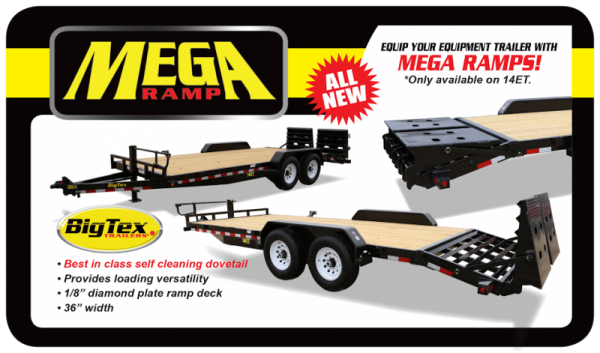 The all new Mega-Ramp has revolutionized the equipment trailer world. 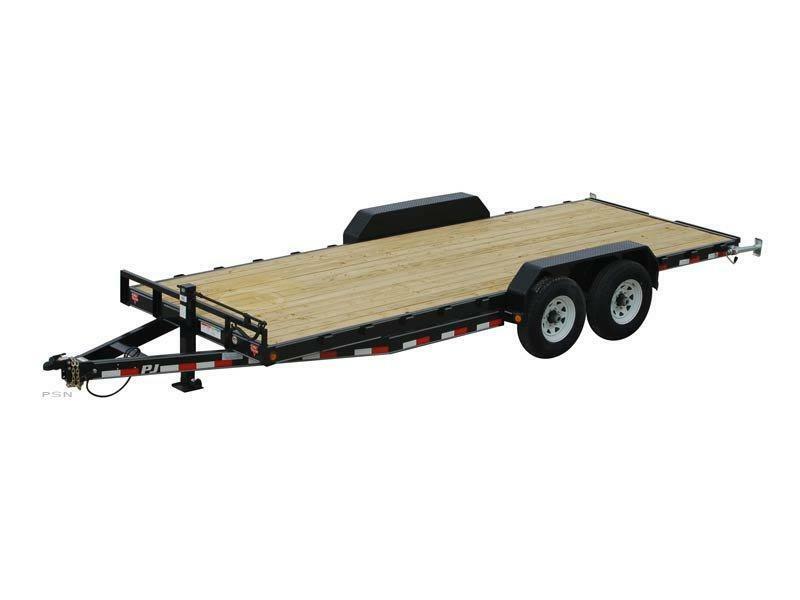 Now, instead of the heavy hard to manage 5' stand-up ramps, you have a ramp that is the width of the rear of the trailer that does not have to be adjusted for different machine sizes and, when folded up, you do not lose the use of the rear of the trailer. You can load all the way to the end of the trailer!